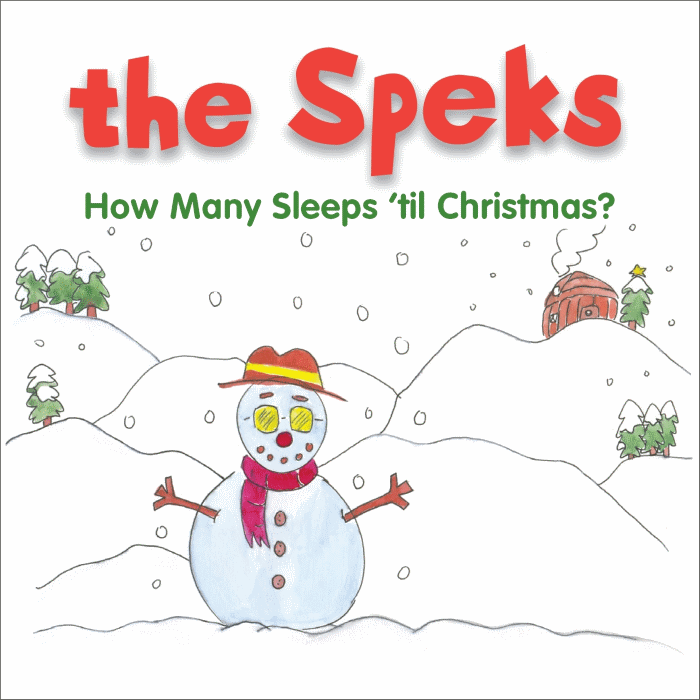 ﻿ The Speks - How Many Sleeps 'til Christmas? Christmas is a magical time for children here on Glasses Island. One day in late November, Quince's 4-year old Munchkin was talking to him about Christmas. At one stage in the conversation she asked him, "how many sleeps 'til Christmas?" He answered, "thirty five" and she replied "that's a lot...I can only count to twenty!" At the end of the conversation Quince was so mesmerized by the innocence and simplicity of her take on the meaning of Christmas that he persuaded us to capture it in a song. It's the first song that we have written for Christmas and we hope you like it. We were delighted to get the opportunity to record our original Christmas song with the fabulous children's choir from Gaelscoil Donncha Rua in Shannon, Co. Clare, Ireland. It was recorded and mixed by Shay Leon at Shay's Studio and mastered by Aidan Foley at Masterlabs. Words to How Many Sleeps 'til Christmas? Featured Song How Many Sleeps 'til Christmas? Saint Patrick's Day Ages 3 and Up!